These satisfied customers have recently retired and decided to invest in the idea of at home entertainment. Now they can let go of the maintenance headaches of wood deck and settle in to the comfort of a lifetime product. 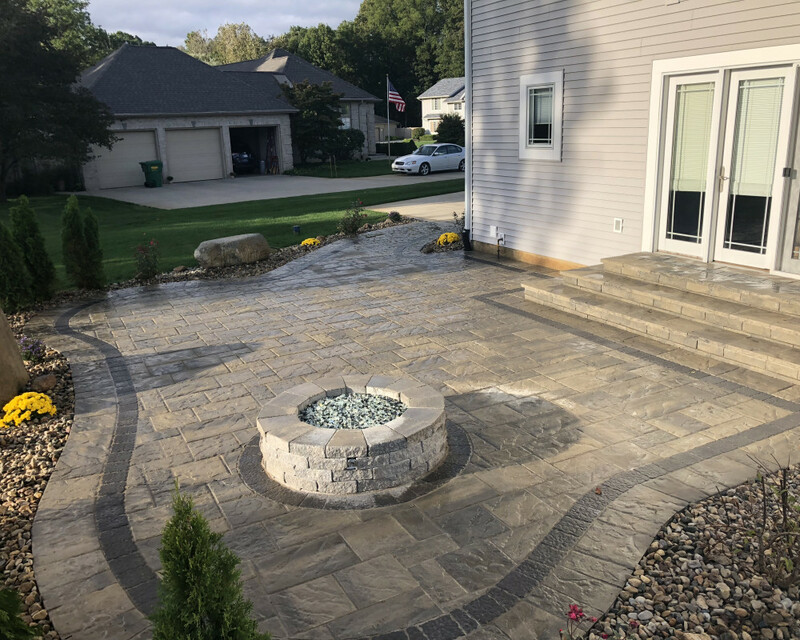 We installed Blu 60/Slate/Shale with Mini Creta has fire pit and a custom step made from Brandon wall with Venetian riser. 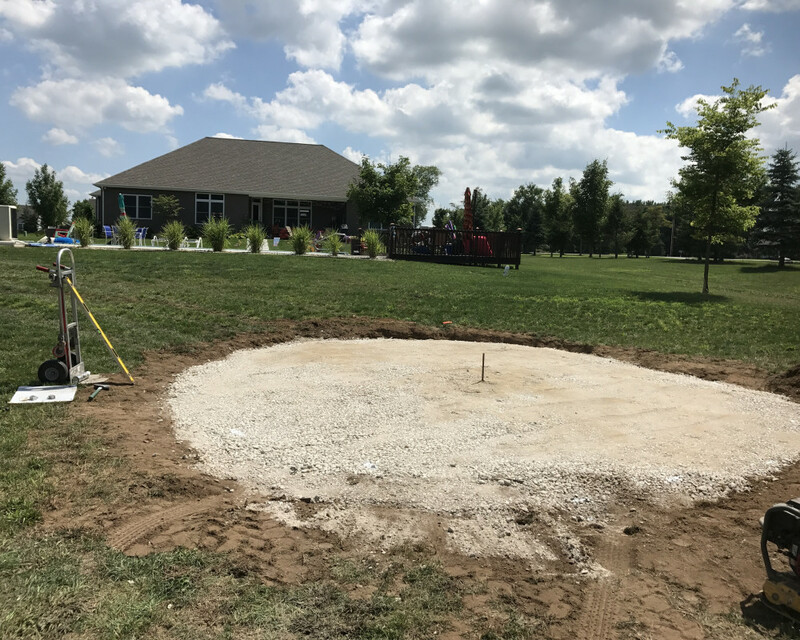 A little accent to highlight the project and it’s ready to be enjoyed! 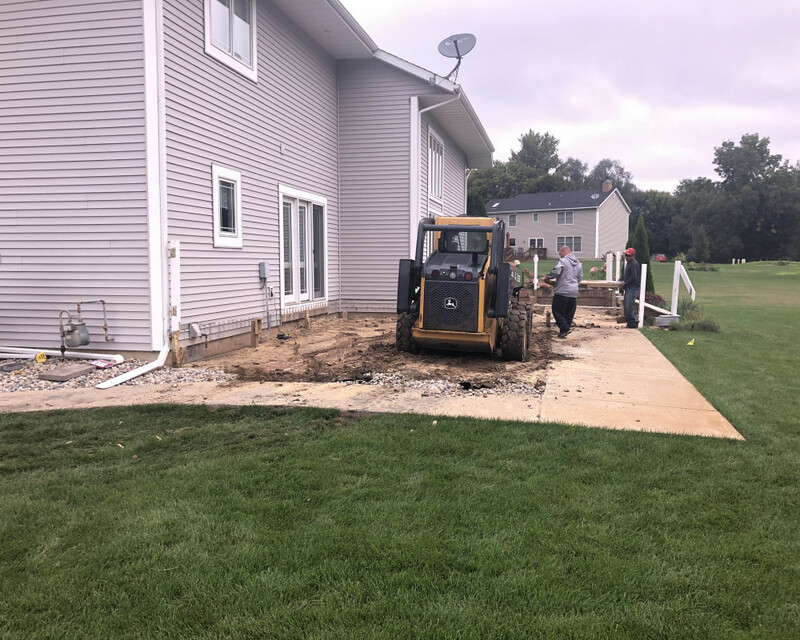 These great customers knew that their older children and their friends would eventually get tired of swimming in their new in ground pool and want another place to relax and have fun. They decided to let us build them a comfy economical solution. 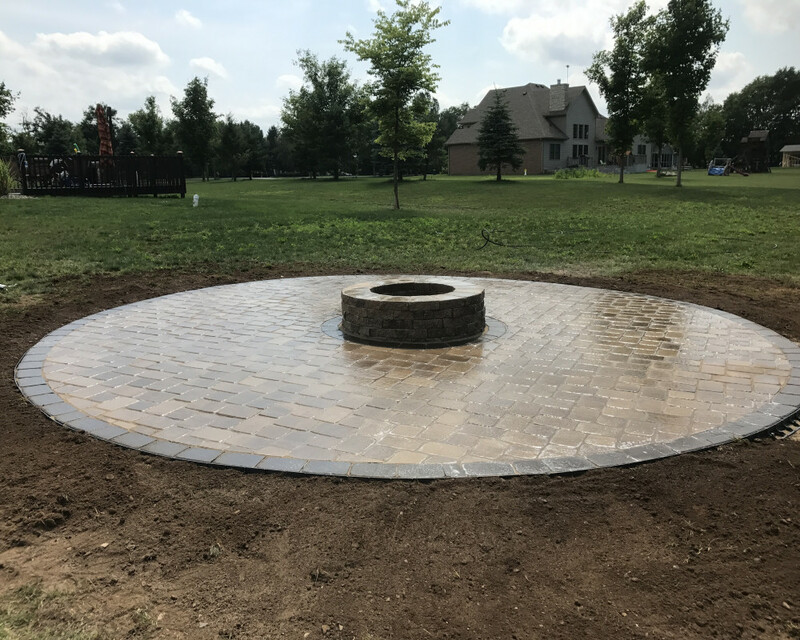 A 20’ circular Firepit patio featuring Hera square and rectangle in Chestnut with a Chocolate border. In the middle, a wood burning Mini Creta Firepit also in Chestnut! Many S’mores and stories will be shared here!